Here is a pattern for an uber-soft, ribbed, organic cotton baby cocoon that I made. I chose to make this one differently than most of the patterns you’ll see. Most are made like a very long, upside-down hat. 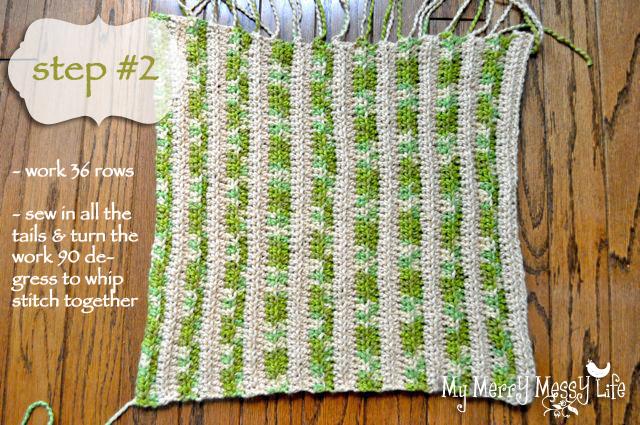 This one is made as a rectangle, sewn together, then crochet the base on at the end. 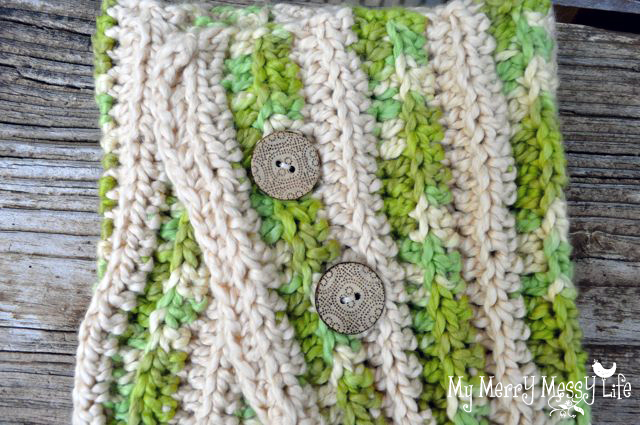 I did it this way so I could create a the ribbed pattern, which gives the cocoon a knit look and such luxurious texture. I had the privilege of getting to use and review Lion Brand’s Nature’s Choice yarn, which is a 100% organic cotton yarn, dyed with soy-based dyes, and I loved it! Read the review here. 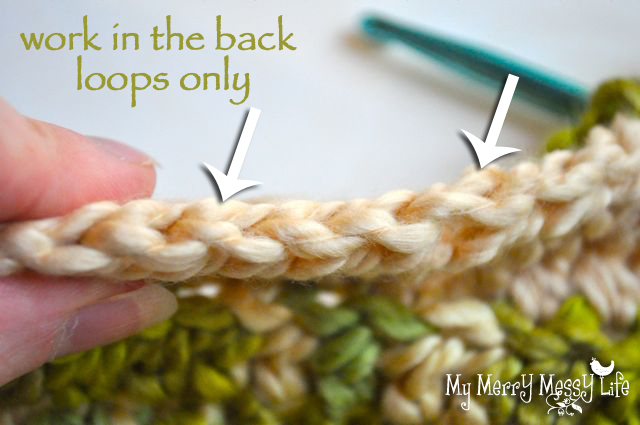 I chose the half double crochet stitch because it’s my favorite stitch – it works up quickly, unlike the single crochet, but it doesn’t have the holes and gaps of the double crochet. And, I just love the way it looks. 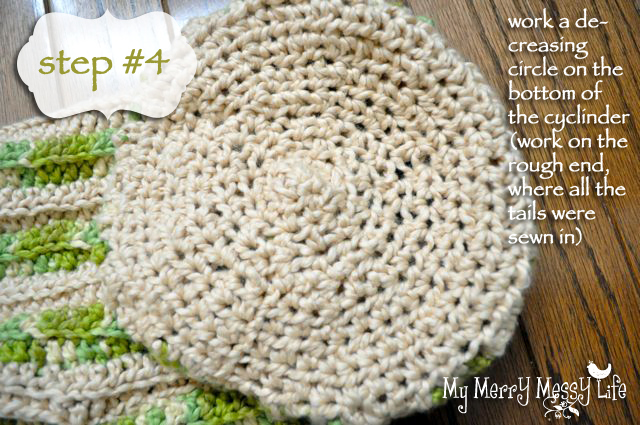 But, this pattern could easily be worked with a single or double crochet, too. 23 inches long, by 10 inches wide (That is from the top of the cocoon, all the way down to the point of the base. Newborns are only 18-22 inches are so, including the head. Remember – the head will not also be inside the cocoon, so this size should last well beyond three and even six months). If your finished measurements aren’t exactly the same as mine, don’t fret! It’s not like a sweater or a hat that needs to fit perfectly. YO, insert hook into space and pull up a loop. YO, and pull through all three loops. YO, insert hook into space and pull up a loop. There are 3 loops on your hook. YO again, and insert hook into the NEXT space and pull up another loop. There are 5 loops on your hook. YO and pull through all 5 loops. Repeat row 2, changing colors every 2 rows, for a total of 36 rows. I chose to make all the color changes on the same side so all the tails would be on one side. It was the rougher looking side, so I made that the bottom and crocheted the base onto the rough side, which disguised it very well. Now, sew in all your tails first and insert a stitch marker (a piece of contrasting colored yarn will do just fine) to remember which side you cut off all the tails. I wanted all my tails to be cut off on the inside of the cocoon so they wouldn’t show. 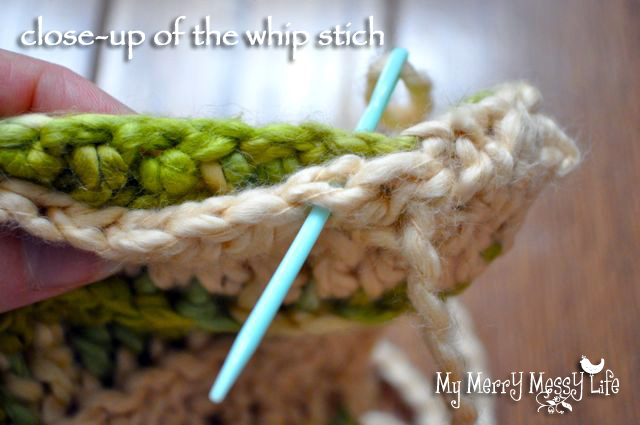 You’re going to whip stitch it together inside out, then turn it right-side out before sewing on the base. Whip stitch it together like so, sewing together the two sides that are not the ends, so that the cocoon will be longer than it is wide. Now, in order to be able to close it with a button, I chose to whip stitch it three-fourths of the way up. If you don’t plan to use the buttons, just stitch it all the way up. You’re going to crochet in the round to create a circle on the bottom of the cocoon, on the side where you sewed in all of your tails. 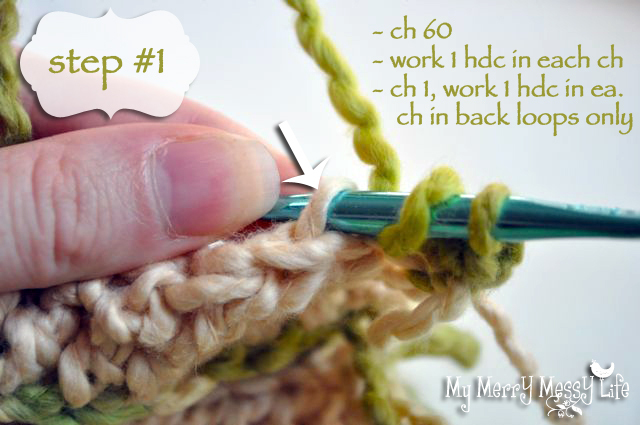 First, attach the yarn anywhere on the bottom with a slip stitch and a ch 1. This is a bit unconventional, but I continue working round 6 (instead of doing just decreasing stitches) until I run out of space and the circle is closed. 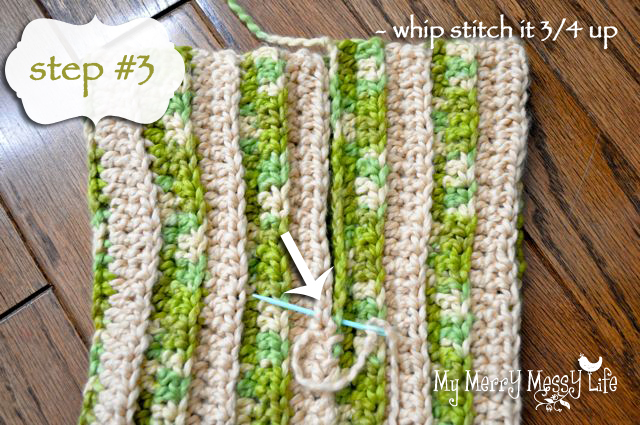 I find this looks much nicer than the other method because the decreasing stitches are not stretched out. Sew one button on each side of the opening. 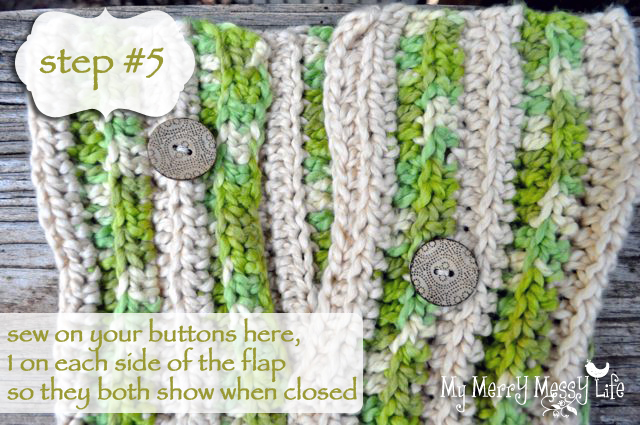 There is enough space and stretch in the yarn that a hole isn’t needed to go over the button. I bought mine at JoAnn’s where they have several varieties of this wooden button that I just love! And you’re done! 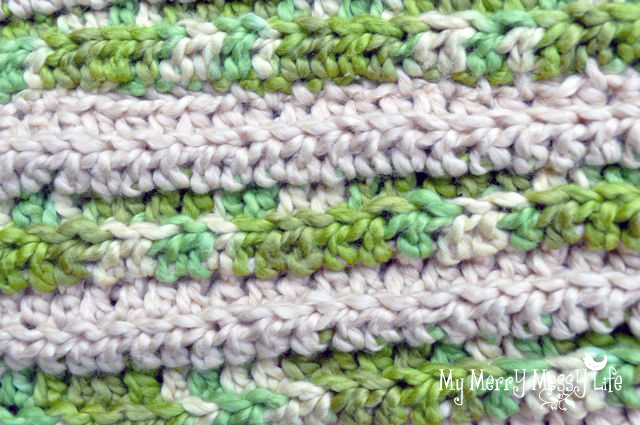 It’s really an easy pattern to work and I loved working with the organic cotton yarn. It is so soft! Here’s a close-up of the ribbed texture.